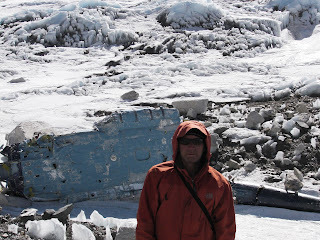 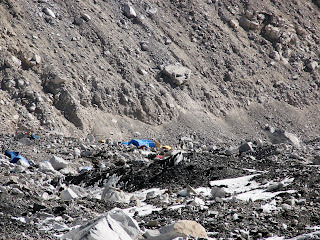 Left at 6:30 am for Everest Base Camp from Gorashep. 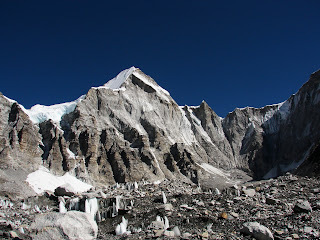 We arrived at EBC at about 9am. 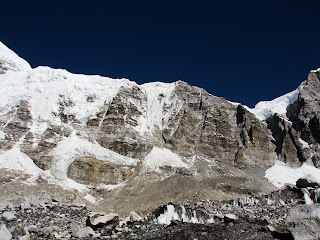 Only a few camps are up and running but that will change next week my guide said. 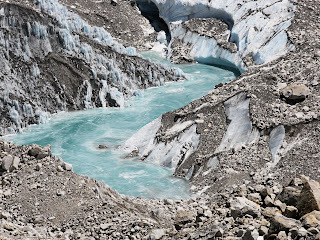 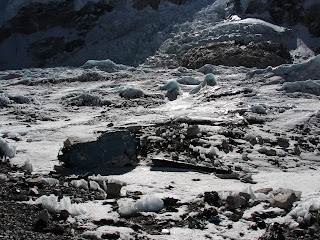 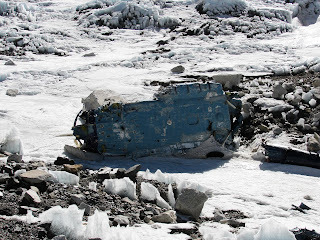 I took pictures of the crashed helicpoter which is kind of the official site and also took pictures of Khumbu Ice Falls which people say may be the most dangerous part of climbing Everest. 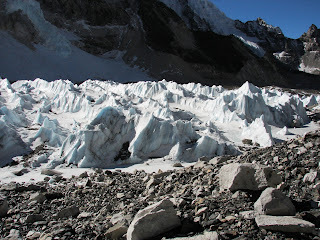 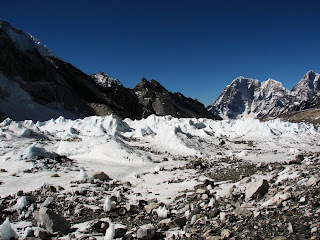 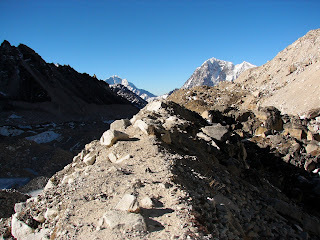 It is unbelievable that you cannot even see Everest from base camp because of mountains in the way. 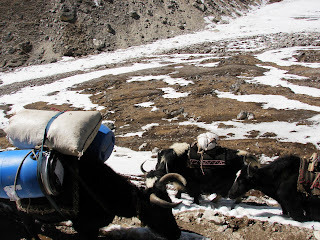 A lot of Yaks and porters carrying supplies to Everest on the trail. 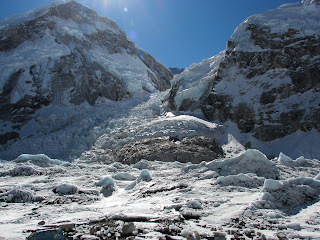 Ram said that most climbers start showing up on April 1st.